It’s CHRISTMAS! My favorite time of year!!! Yes, I’m one of THOSE people:) I DECK out our home from top to bottom, you might even say that the outside of the house looks a bit like the Griswolds . . . ok maybe A LOT like the Griswolds;) we go a little CRAZY with lights!If you know me, you will know I use ribbon EVERYWHERE in my decorating! A great example is my Christmas mantle found HERE! I have my favorite kinds and I use them over and over again! 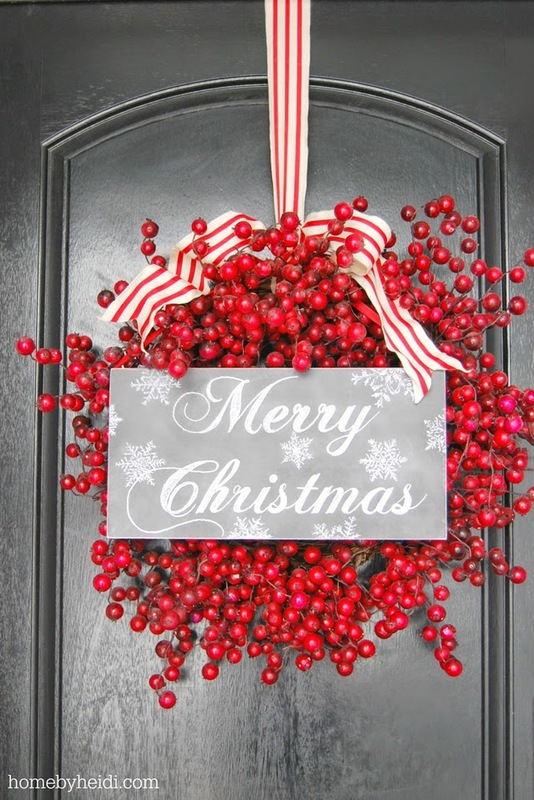 Whenever I post pictures of wreaths with ribbon on them, the #1 question people ask is how I attach them to the door. So today I am going to share my secret. But before that, I have to share one thing… I have a pet peeve. YIKES! I DON’T like door wreath holders! First of all…they scratch the door and door jamb. Also, whenever you try and close the door you either hear metal sliding against the top of the door, or you hear your wreath fall down from the force of the closed door. NO GOOD! The best way to explain my tip is to first show you a picture. A visual is always a good thing! Great tip! 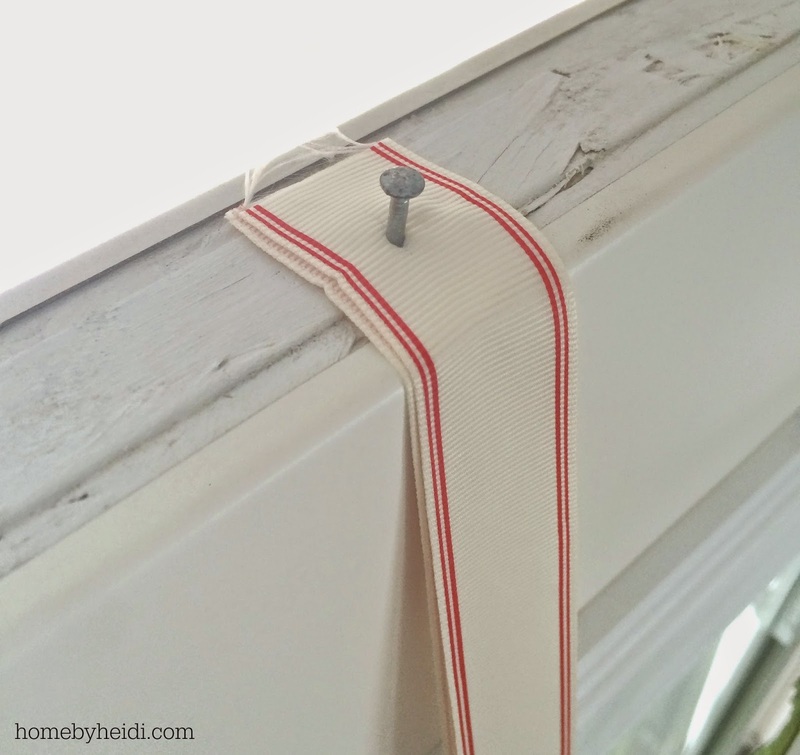 When you hang another wreath, do you use the same nail hole?